We are proud to announce our newest addition to Vision Made Locally: Midwest Labs of Indianola, IA. This innovative and customer focused lab was established in 1973 and has grown to an over 100,000 annual Rx lab without losing it’s commitment to personal service and focus on quality. Along with their full line of products and long list of services and specialties Midwest Labs offers their in-house family of digital lenses, Naturalite. By utilizing full backside technology, Naturalite is available in 76 material and color choices. Wide availability and proven patient satisfaction without the “big brand” price tag makes this a great option for any eye care practice. And don’t forget Midwest Labs on-site Reliance AR coating which offers eye care professionals five coating options, long lasting durability and effortless clean-ability. Midwest Labs offers eye care professionals too many benefits to list! We highly recommend learning more about this truly awesome lab by visiting their profile page or visiting their website at www.mwlabsinc.com. EyeHeartLocal: Isn't it time you got a new pair of glasses? Check out our first EyeHeartLocal promotional video. If you don’t already know EyeHeartLocal is a consumer campaign designed to promote the benefits and value that an independent ECP can provide in conjunction with a locally owned and operated optical lab. The campaign which is driven by Vision Made Locally is using this campaign to help eye care professionals differentiate themselves through their focus on quality and positive community impact. If you want to learn more about EyeHeartLocal visit visionmadelocally.com/ehl. Our first “Ask a Lab Guy” mailing campaign piece has gone to the post office. Over the first half of 2014 our goal is to promote the personal service and expertise locally owned and operated independent labs have to offer their customers. We will also be creating customizable flyers that labs can print out and share as their own. We’d also like to give a shout out to Frecker Optical who gave us the “Ask a Lab Guy” idea. 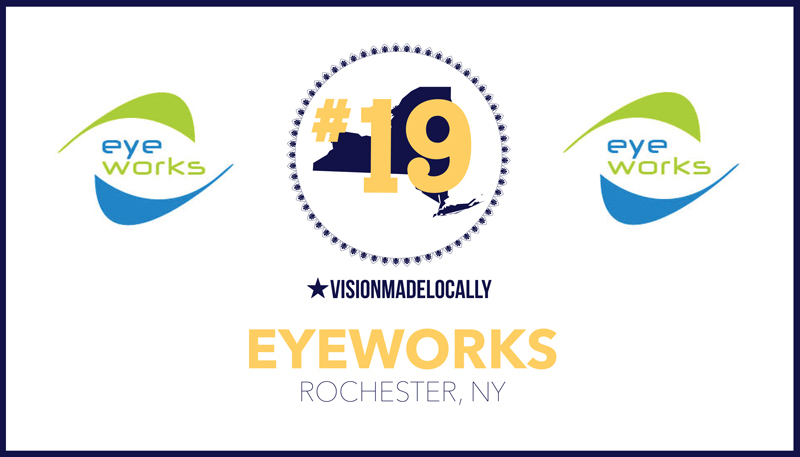 Welcome Vision Made Locally’s 19th participating lab; Eyeworks of Rochester, NY! Eyeworks has been family owned since 1978 and is a 100% digital facility. The lab offers customized lens options, local rush delivery service, their Amazing K.I.S.S. one-year worry-free warranty and much more. We are very honored to have Eyeworks join our growing list of labs. They will be launching their new website soon but in the meantime learn more about them at www.visionmadelocally.com/eyeworks. 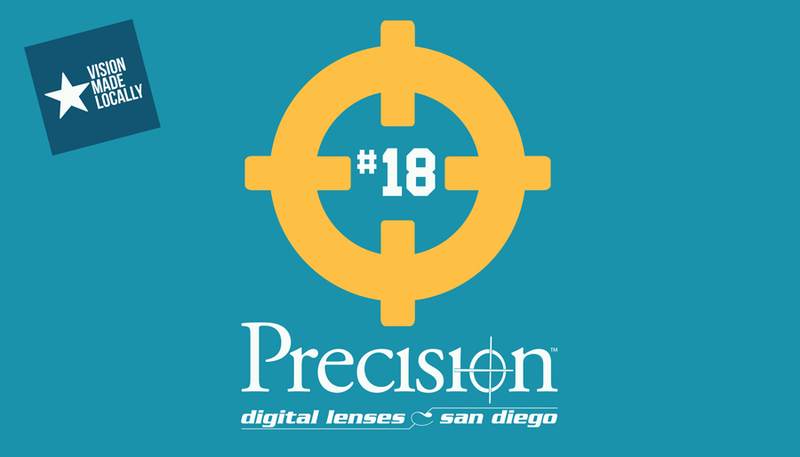 We are proud to announce that Precision San Diego has joined Vision Made Locally as our 18th participating lab. Precision San Diego has been servicing independent eye care professionals since 1973. Their philosophy of “inter-dependence” in which a strong partnership of businesses working together leads to symbiotic growth has helped Precision, their customers and community succeed. Precision is a full service digital lab with on-site coating center. They also provide onsite training to help their customers improve sales and profitability. Combined with being a rimless & wrap specialist, their generous 12 month patient satisfaction policy and overnight delivery services it’s easy to see why eye care professionals choose to partners with them. Learn more about Precision San Diego at visionmadelocally.com/precision-san-diego or visit their website at www.popsandiego.com. 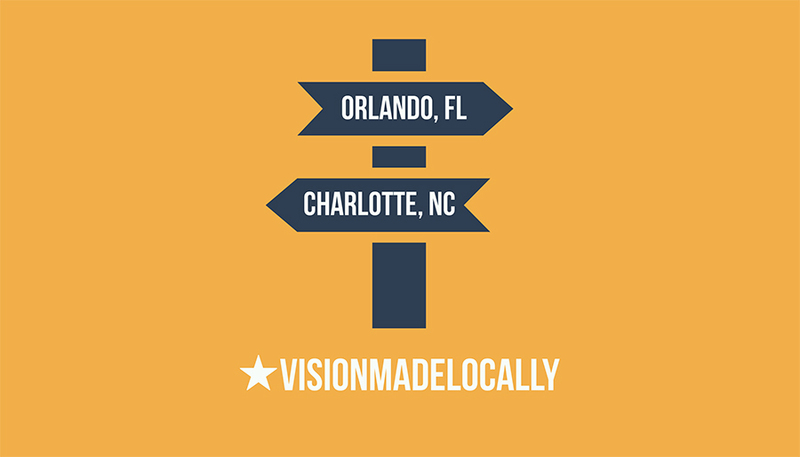 Vision Made Locally is heading to Charlotte, NC for the Optical Synergies regional meeting January 17th & 18th. On top of sharing the VML message we will be giving a presentation on “Unfair Advantages & The Independent Lab”. For those not able to make it we will be recording the presentation along with some of our other industry comrades including Mike Karlsrud of Karlsrud Company. We're sure we will have some great content to share from the event. VML will also be representing at Transitions Academy later this month in Orlando, Florida. We will be taking the opportunity to build excitement about our upcoming EyeHeartLocal program that we will be launching mid-February. We know we keep teasing with this program but we are putting a lot of man-hours to making this an integral part in spreading the word about Vision Made Locally and more importantly promote those who choose to partner with our labs. Vision Made Locally is proud to announce its 17th participating lab; Acculab of Sycamore, IL. Acculab has been servicing their customers with the finest product & service available since 2006. The lab is 100% independent and touts in-house digital processing and AR. Their digital product offering includes Acculab's Digital Free Form Designs Katara and Sabre as well as Seiko and Shamir Digital Free Form. We are truly honored to welcome Acculab and encourage you to learn more about them on their profile page or visit their website at acculab.net. Check out the first Vision Made Locally lab spotlight video highlighting one of our very own; Schroeder Optical. We were given a great opportunity to meet Tom Schroeder President of Schroeder Optical and the Schroeder Optical team. We learned a lot and met some very satisfied customers. We also participated in a great event hosted by Schroeder Optical for their accounts along with representatives of Transitions and Seiko where we were lucky enough to share the Vision Made Locally message. Schroeder Optical also announced bringing digital in-house to better serve their customer base. We will have some additional videos from our visit over the next couple of weeks. Enjoy!